When I look back over 40 years at the Euro Market, I first think of clichés and names. Globalization, integration of markets, dismantling of controls, cross border transactions, information technology, quants, derivatives, Solomon Bros., CSFB, Barings, Paribas, the Belgian dentist, Japan controls everything, Yassokovich, Von Clemm, John Craven, Minos Zombanakis. Wilfried Guth. Hans Georg Rudloff. I then am reminded of transactions: floating rate notes, short-term bonds. Pricing at any cost – even though the pricing will likely bury underwriters under their own tombstones. It was a time when Ministries of Finance controlled who could borrow in their currency – and even then only with “domestic” underwriters. For thirty years no borrowing by any “foreign” borrower in France or Italy or the United Kingdom. Zero coupon bonds, Perpetual bonds. Ah, if we borrowers could only have both in the same instrument – zero coupon and perpetual maturity. And competition. Fierce competition between Amro and ABN, between Swiss Bank Corporation, Credit Suisse and Union Bank. The Swiss had good reason to compete for mandates. Their underwriting commission was higher than the prevailing interest rate. Intense competition between Nomura, Daiwa Yamaichi, Nikko. Between Deutsche Bank and Dresdner. Inevitably, over time, circumstances led to change and complexity. We first worried about how to hedge against inflation. For a decade interest rates had fluctuated less than 1%. Then came inflation. How to protect investors. Answer: Invest in short-term bonds or at floating rates. The BundesBank was upset. They did not like instruments which could provide a hedge against inflation. They were concerned it would remove the political pressures against inflation. Then how to hedge currency risk – after currencies were “unfixed” in the early 1970s. Answer: Futures and derivatives first to hedge, then speculate. There was still a risk left in the bond market. How to avoid or limit credit risk. Then how to manage liabilities which we wanted to dispose of either because we wanted to stem losses or take the gains arising from currency or interest rate fluctuations. Answer: The Swap Market. The world of liability management came into being. Answer: Off balance sheet trades. Don’t mark to market. That led to a sense of unreality. That is, until very recently when auditors, partly from fear of being accomplices, began to mark to market – with vengeance – valuing assets well below their underlying cash flows. But not marking to market the liability side of the balance sheet. Only the asset side. An asymmetry – the cause of great turmoil and pain currently. How to avoid reporting losses. Answer: Keep lending. For banks, the LDC debt crisis provided the opportunity. A rolling loan gathers no loss. How to lend without fear of the capacity of borrowers to repay. Answer: Securitization. Package the asset and get rid of it fast. Answer: Structured finance and credit enhancement. Let someone else figure out how to hedge the protection we were provided. Answer: Repeal Glass Steagall. Develop a compensation system which rewards success and hardly penalizes failure. Again, asymmetry. How to avoid disclosure of what we are doing. Answer: Form a hedge fund. How to increase our return on capital. Answer: Leverage or manage other people’s money – or both. And, if somehow, given liquidity risk, credit risk, legal risk, event risk, back office risk, securitization, leverage, slicing and dicing, gun-shy external auditors, you ended up in deep trouble, an accommodating Central Bank would prove to provide support for the system. But the price was substantial. The Fed did not bail out Bear Stearns. The equity practically vanished. They could have guaranteed a Bank loan and left the equity. But then the message would be lost. And, of course, given the recent credit turmoil requiring official support, there is the inevitable call for more regulation. But not to worry. There are three saving graces. I hope I am wrong, but the danger is that I am right. First, the regulators have little idea what happens at the trading desk, how institutions finance themselves, with whom, with what kind of instruments, how derivatives are used to reduce capital requirements. They are not cognizant of the latest arcane forms of derivatives, how accounting rules mask risk (or increase it). They cannot “read” the risk books (nor can most senior managers even in the firms). Regulators, therefore, are not likely to regulate what really counts without a complete understanding of the way different instruments are used and reported and exactly how the algorithms work. Second, the regulatory agencies have different agendas, values and constituencies. They will not likely agree on meaningful control over capital, leverage and securitization. Third, derivatives, even in their most arcane forms, fundamentally use government paper as collateral. If derivatives were limited, controlled or inhibited it will surely reduce the need for that collateral and will therefore make it much more difficult to finance government deficits. That is why Central Banks have been reluctant to tamper with that market. Conclusion: Regulators will not mess with it. “Liquidity Risk. You think you are precisely hedged, but the product is so esoteric and idiosyncratic that you cannot sell it because there is simply no market for the product. You may want to either capture a profit or minimize a loss, and you can find no buyers. This is typical in the OTC derivative market or parts of the mortgage-backed securities market. Legal Risk. The laws in Asia and Western Europe are not nearly as clear as those in the United States. You believe that you are totally netted with a particular counterparty; that you had a net zero position and, in the event of default and bankruptcy, you would be protected. It turns out that the netting rules outside the United States are not so clear, and you may have to get in line with other creditors or depositors. Basis Risk. You thought you were hedged. You believed that investment A hedged instrument B. You were long in one, short in the other. They, in fact, moved in the same direction. The three-year Treasury note in which you were long deteriorated in price, but unhappily, the five-year note, in which you had a short position, increased in price. You lost both ways. The only perfect hedge is in a Japanese garden. I don’t think much has changed. Of course it all gets down to why people do what they do. It is most appropriate, therefore, in conclusion, to speculate on what one of Vienna’s most illustrious citizens, Sigmund Freud, would have said about us. He, better than anyone, analyzed and knew us quite well. These remarks are an expanded version of comments made at the 40th Anniversary, Annual General Meeting, of the International Capital Markets Association (ICMA). 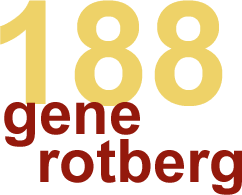 Mr. Rotberg was previously Vice President and Treasurer of the World Bank.